Over the years, many people have asked me Why I Became Vegan. I’m not sure I can actually answer that…. because today there are just so many reasons why it makes complete sense. I mean just take a look around you, isn’t it pretty obvious by now just how sick we have all become, as a country? Can you not tell me that you honestly don’t see more and more people in those crazy motorized carts at the grocery store? How many people can you name that are not overweight, or obese, and are not taking some kind of pill for one condition or another? Obesity, heart disease, high blood pressure, high cholesterol, diabetes, cancer, have all gone crazy in the last 30 years or so. And it’s getting worse. I think back to when I was a teenager growing up in the ’70s…. what was different? 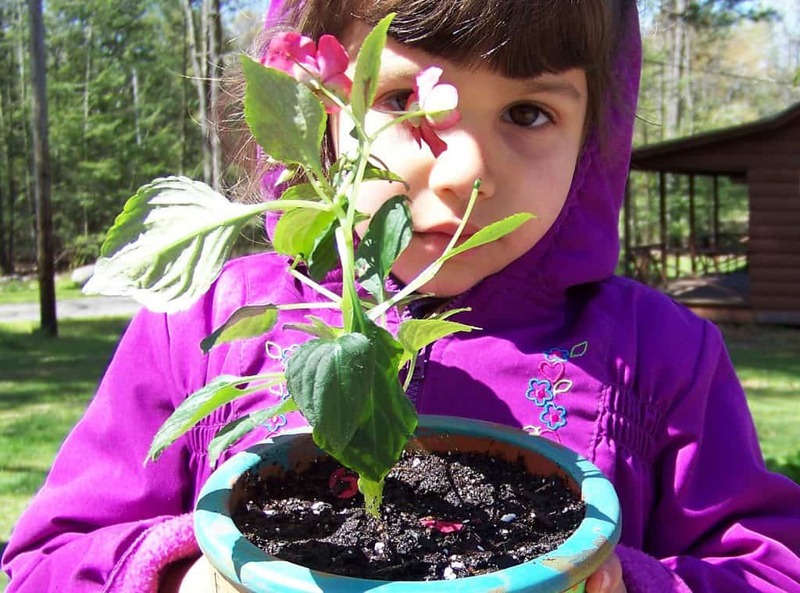 For one, most ‘moms’ I knew stayed home and took care of the family. Meals were home cooked, and very simple. And even though meat and dairy were staples – we didn’t question what was in it or how it was raised. There were no ‘factory farms’ yet – and every chickens was ‘free range’ and ‘cage free’. Additionally, we weren’t so gadget crazy back then. There were no computers, smartphones, or Xboxes and our music was either album, cassette, or 8 track (I know – I’m aging myself). To avoid death by boredom, we did things. We were active. We walked or rode our bikes everywhere. We hiked, roller skated, ice skated, and played football. Gym class in school was not optional. Heck, even throwing a frisbee around the mall parking lot was more activity than some people get today. And with that came the beginning of a downward health spiral that would not show its results for another 30 years. Fast food, odd jobs, weekend parties, cheap dates, fancy restaurants, getting married, raising kids, working a job, weird shifts, bad coffee, juggling bills, making the rent, teenagers, aging parents……. It’s all part of growing older, and every phase of our lives has its own set of challenges and stresses. We cope however we can, booze, drugs, food, whatever works. And in the middle of this process we call ‘living’ – we really don’t think about the later effects of how we’ve lived our lives. What do I mean by effects? You may or may not have heard this before, but trust me it’s true. As you enter your 40’s, you body will change. Your eyesight changes. Your hearing changes. It’s harder to stay in shape, it’s even harder to lose weight. Bones and joints start to pop or ache. And I’m not quoting a Country Music song when I say that hangovers hurt more than they used to either….because they do. All those years of bad coffee, crappy fast food and couch lounging catch up to you….. and then some. Bad eating habits and inactivity DO have a delayed cumulative effect. And then… for many….. it’s too late. They never recover and spend the rest of their lives taking an assortment of pills just to keep their bodies working partially right. My wife and I are lucky in that we are in reasonably good health, but are amazed when we see people who are obviously younger than us, but who look so much more older than us. Research shows that switching to a Vegetarian or Vegan Diet can actually reverse or at least ease some of these effects. For many, after just several months of healthy eating, their lipid panels and blood pressures are back to normal – without any medication. Tumors have shrunk, blood sugars have normalized, damaged arteries have healed, the success stories are out there. Look them up. Of course many people see this way of life as being ‘extreme’. 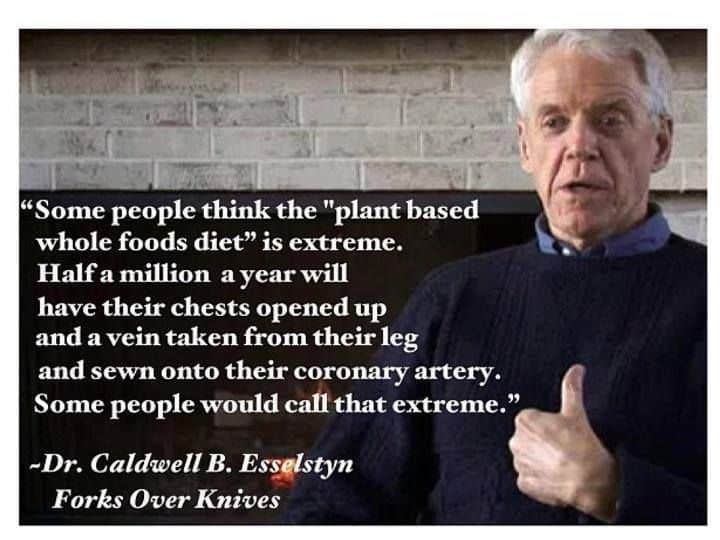 I’m reminded of a quote from Dr. Caldwell Esselstyn, esteemed heart surgeon for the Cleveland Clinic…. That alone I guess is MY main reason for Why I Became Vegan. Staving off disease as long as I can and staying as healthy as I can – as I grow older and hopefully wiser. Of course in today’s society being sick is not just inconvenient, it’s also downright expensive. Health care costs continue to rise. Many people have lost everything, just to pay hospital expenses. Becoming healthier now makes financial sense as well. And as if these reasons weren’t enough – now I have one more reason to stick around just a bit longer. Probably the most important reason of all. i went vegetarian at 16 in ’76 after meeting a momma pig and her babies at a friend’s uncle’s farm where we visited frequently. What seemed like just a few short months later, all but one of the babies were sold off and momma was sent to slaughter. I was done eating animals at that point. After joining facebook and other social media, i soon became aware of the horrific suffering in the dairy and egg industry. Around the same time, I watched the documentary Earthling. Right then, at age 50, i went vegan. I went vegan for the animals. Everything else (the health benifits, etc, is just icing on the (vegan) cake 🙂 My son and his girlfriend went vegan two weeks ago. Also for the ethical reasons. I am so stoked about that! I have heard a lot about that movie, but have never watched it myself. I guess I’ll have to add it to my list. So glad your family has switched! I’d be stoked too!